Good value for money. Clean and well equipped. Good location. Friendly and helpful staff. Warm and cosy. 1. The service (Pablo) is super nice and helpful, he answers our questions quickly and when we met a problem in the appartment, he solved quickly. 2.You will have supermaket and restaurant around, it is convenient. 3.Parking is free and convenient. Location was great. Right across the street from the lift. Easy to find and park which is a premium in some parts of Andorra. The location is amazing, you can park easily for no cost. There is a office for keys collection at the building (the info on the website is not up to date, I suggest calling TMC office in advance for more detailed info). The host was really friendly, flexible and nice! Public parking in front of the apartments which are for free. El apartamento en si está bien y tiene buena comunicación. Buena ubicación, pero alojamiento muy ruidoso con carretera al lado..
l'appartement était bien chauffé à notre arrivée. 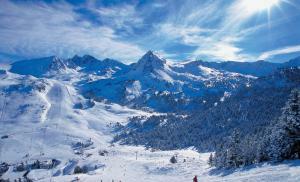 These modern apartments are located in the Andorran resort of El Tarter, part of the Grandvalira Ski Resort. They feature a flat-screen TV, a well-equipped kitchenette and fantastic mountain views. The apartments at TMC Apartaments feature tiled floors and smart décor. They include an oven, microwave and coffee maker. Bed linen and towels are included. 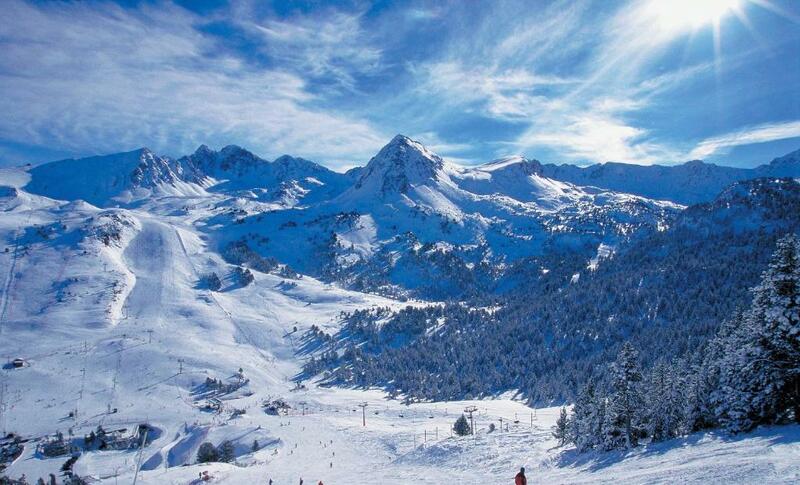 You can walk to the ski elevators of Soldeu - El Tarter in just 5 minutes from the TMC apartments. Andorra la Vella is a 20-minute drive away, and you can drive to La Seu d’Urgell in around 50 minutes. When would you like to stay at TMC Apartaments? This apartment has a tile/marble floor, kitchenette and oven. This apartment features a kitchenware, microwave and stovetop. Apartaments amplis, ben il.luminats. Próxims al telecadira del Tarter. Amb supermercat molt próxim. My Andorran holidays és una empresa molt jove amb lloguer d'apartaments turístics moblats a Andorra. El Tarter és la porta de l'estació de Grand Valira. Lloc ideal per començar rutes a peu. 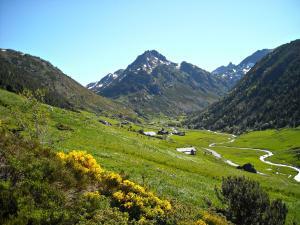 Próxim a les poblacions de Soldeu i Canillo. House Rules TMC Apartaments takes special requests – add in the next step! TMC Apartaments accepts these cards and reserves the right to temporarily hold an amount prior to arrival. Please note that there is a cleaning deposit of EUR 150 which is refundable if the apartment is left in good condition. Please note that key collection takes place at Av. Sant Antoni, 91, Bajos, Massana, from Monday to Saturday from 15:00 to 20:00 and on Sundays from 09:00 to 14:00. Please inform TMC Apartaments of your expected arrival time in advance. You can use the Special Requests box when booking, or contact the property directly using the contact details in your confirmation. Uncomfortable sofa bed. A little noisy on a weekend. 1. suggest to provide the hair dryer. 2. clean the heat in the toilet better. Pain getting the keys. We’re given directions to go to an address to get keys in a different town. Once we actually found the address with some difficulty we found out that the place didn’t issue the keys anymore. They did give us directions on how to get to the apartment though and told us where to find the keys. Once we got to the apartment the keys were not where we were told. After calling the POC we finally were guided to the keys. All in all, it took about an hour to figure out where and how to get into the apartment. Apartment was spacious but very little toilet paper, garabage bags, etc. If we had known we could have picked some up but didn’t. Beds were super uncomfortable, shower head was broken, heater in one room broken and one of the dining rooms chairs was broken. All in all, not too bad as the things listed above are minor, but for the price it wasn’t up to par. I’m okay with budget accommodations if I am paying budget prices. I could not find the place to place the trash. At the time of the check out there was no one from the company to do the check out. Loads of noise of the partying neighbours... When complaining, the host couldn't help as they do not own the full building. Terrible wifi connection... Lot of traffic to go to the telecabina in the mornings and very uncomfortable beds. Supermarket in front of the apartments offers very weird food and is extremely expensive.